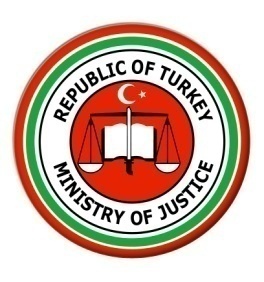 The Ministry of Justice and the Ministry of Interior gave an answer to the report regarding Turkey of the Human Rights Watch through a joint statement. It has been considered necessary to provide an explanation on the following points with a view to informing the public with respect to the ill-founded allegations included in the report published by the Human Rights Watch (the report) on the fact that a blind eye was turned to torture. In the first place, it should be noted that the relevant report was prepared in the absence of evidence or foundation in a one-sided manner, and it does not comply with concrete facts. The report gives the impression that it was issued under the influence of the persons who have cohesion and contact with the Fetullahist Terrorist Organization/Parallel State Structure (FETÖ/PDY) and other terrorist organizations, with a view to casting doubts on the fight against terrorism which is carried out on the basis of the rule of law. It should be born in mind that the structuring of the FETÖ/PDY terrorist organization within Turkish Armed Forces caused martyring of 250 persons and injury of 2193 persons, by using heavy weapons including fighter jets and tanks during 15th July treacherous coup attempt. It is also known by everyone that the PKK terrorist organization has been engaging in terrorist attacks against soldiers, police officers, public servants and civilians for approximately 40 years, and it caused the death and injury of thousands of persons. In this regard, it is rather "meaningful" that the violations of rights to life, which is the most fundamental human right, caused by the terrorist organizations were not mentioned in the report. Furthermore, it is also known that numerous members of terrorist organizations sought asylum in a number of countries and they move on with their lives without any problems. Fighting effectively against crimes and criminals and ensuring that the perpetrators account for their actions before justice are among the most vital obligations of the State in terms of protection of fundamental rights and freedoms of the citizens, in particular the right to life. In spite of the obligation of extradition pointed out both in international conventions and many judgments of the European Court of Human Rights (“the Court”) (see Agache and Others v. Romania, no. 2712/02, 20 October 2009; Nasr and Ghali v. Italy no. 44883/09, 23 February 2016), it is thought-provoking that the Human Rights Watch had no words to say on the matters of non-extradition of terrorists and trial of those attempting against “right to life”. In this regard, it is considered that one-sided report is a means of propaganda aiming at ensuring the whole picture, namely the threat faced by the democratic system in Turkey, to go unnoticed by the world opinion and at forming a perception as if there was torture in our country. Contrary to what was implied in the report, regardless o the great danger it is faced with, the State of the Republic of Turkey carries out its fight against terrorism on the basis of international standards on human rights. In addition, the State of the Republic of Turkey does not remain insensitive to violations of human rights, which take place in various parts of the world and which are ignored, and it brings these violations of rights to the attention of the world public opinion as the voice of the oppressed people. In this respect, it should be noted that while the human tragedies, which have recently taken place, have endangered the right to life of hundreds of thousands of people, Turkey did not set up wire fences along its borders and it has opened its doors to these people, regardless of their religion, language, race and country. It should also be kept in mind that Turkey is the country accommodating the highest number of refugees in the world. Furthermore, Turkey has suffered terrorist attacks which are so severe that it cannot be compared with terrorist incidents that took place in many European countries. It is a necessity to take measures in accordance with international conventions and domestic law in order to prevent terrorist activities of the terrorist organizations, which have different ideologies, structures and methods of activities but which act in a systematic coordination such as the PKK and the DHKP/C as well as the FETÖ/PDY that threaten the democracy, constitutional order and the natural flow of life. Turkey is one of the few countries in the world that has abolished the statute of limitations for the offence of torture, as a consequence of the policy of zero tolerance to torture. There is no doubt that all allegations of torture and ill-treatment are effectively investigated by independent and impartial judicial authorities. All detention centres and questioning rooms, conditions of persons in police custody, reasons for placement into custody and custody periods, and all kinds of records and proceedings related to arrest and placement in custody are regularly inspected by the Chief Public Prosecutor’s Offices and administrative institutions. The Ombudsman's Office, the Human Rights and Equality Institution of Turkey (which is accepted as a national prevention mechanism under Optional Protocol to the Convention against Torture (OPCAT)) and the Human Rights Inquiry Committee within the Grand National Assembly of Turkey or inquiry committees are able to carry out examinations, inquiries and inspections at such places. Pursuant to the Circular no. 158 issued by the Ministry of Justice, maximum diligence is shown in conducting investigations into the allegations of human rights violations, torture and ill-treatment in an effective and adequate manner either by the chief public prosecutor in person or a public prosecutor to be assigned by him/her, rather than law enforcement officers. Furthermore, by the arrangement made during the state of emergency (Article 10 of the Decree Law no. 682), inflicting torture has been accepted as a ground for removal from public office besides criminal liability. Moreover, all places where those who are deprived of their liberty are held, including the penitentiary institutions and detention centres, are open to inspection by international mechanisms such as the European Committee for the Prevention of Torture (CPT), the United Nations Subcommittee on Prevention of Torture (SPT) and the UN Special Rapporteur on Prevention of Torture and Other Cruel, Inhuman or Degrading Treatment or Punishment. Furthermore, on 17 October 2017 the report on the CPT’s ad hoc visit to Turkey in 2015 was published in compliance with our obligations set out in the Convention. In addition, subsequent to 15 July 2016, a total of 21 applications were filed with the Court with the request for an interim measure on account of the allegations that there had been a risk to the right to life or the allegations of ill-treatment and torture arising from the detention and accommodation conditions. The Turkish Government has been invited to submit information and documents as regards these applications. It must be taken into account that among the 21 applications, all of those, the examinations of which had been completed, were rejected by the Court. In those applications where an interim measure was requested, the Court examined the information and documents submitted by the Turkish Government as well as the applicants’ allegations, found the applicants’ requests for an interim measure unjustified and thus rejected them. Moreover, it is explicitly clear that the provisions in the Turkish legislation, including the regulations adopted under the state of emergency, on the suspects’/accused persons’ access to a lawyer are in compliance with the Court’s case-law in its most recent judgments (see İbrahim and Others v. the United Kingdom [GC], no. 50541/08, 50571/08, 50573/08 and 40351/09, 13 September 2016; and Simeonovi v. Bulgaria [BD], no. 21980/04, 12 May 2017). It has been understood that the allegation of ill-treatment raised before the court by H. K., whose trial continues in the Kırıkkale Province within the scope of the investigation being carried out in respect of the FETÖ/PDY armed terrorist organization, had been communicated to the Kırıkkale Chief Public Prosecutor’s Office by the relevant court, that a detailed inquiry had been made by the Chief Public Prosecutor’s Office within the scope of the investigation carried out, that 11 video records of the custody room had been examined in detail by an expert committee of six persons, that H. K.'s entire medical file, as well, had been examined, that it had been established that the allegations had been groundless, and that a decision of non-prosecution had been rendered in this regard. Furthermore, the allegations of ill-treatment raised by C. A., A. A. and H. A., who were among the persons arrested as a result of the PKK armed terrorist organization’s members’ rocket launcher attack on the building of the Gevaş District Police Department in the Gevaş District of the Van Province on suspicion of carrying out the attack in question, are being inquired about by the Chief Public Prosecutor’s Office with due diligence; and the investigation in this regard is still ongoing. Upon the relevant public prosecutor’s order, an investigation was initiated into the allegations of ill-treatment raised by S. T. and N. Ş., whose statements had been taken as suspects subsequent to the attack in the Şemdinli District during which the members of the armed terrorist organization PKK injured a police officer and martyred a police officer, and a total of 39 persons’ statements were taken in their capacity as complainants. The investigation continues to be conducted diligently. Furthermore, within the scope of an administrative investigation, a police officer was suspended from office. The Şanlıurfa Chief Public Prosecutor’s Office examined the allegations of the person, who was placed in a penitentiary institution after his detention on remand had been ordered by the court, who alleged that he had subsequently been taken to the police station again and tortured and who was mentioned in the report as “teacher A”. On 17 July 2017 the Şanlıurfa Chief Public Prosecutor’s Office issued a decision of non-prosecution on the grounds that the allegations were of an abstract nature and that they were not supported with concrete evidence. The Chief Public Prosecutor continues to conduct the investigation into the allegations of the person, who raised similar allegations and who was mentioned in the report as “University lecturer A”. While it is alleged on the basis of what the person named B.O. told to his lawyer that B. O. and S. K. had been subjected to ill-treatment by the police officers in Ankara, it was established that during the period they were held in police custody, the persons in question had undergone health check every day and that the health reports drawn up in their respect noted no trace of battery or coercion. Furthermore, alleging that A. K. had been tortured whilst in police custody in Ankara, A. K.’s lawyer filed a criminal complaint with the Chief Public Prosecutor’s Office. A.K. who gave statement in his capacity as complainant stated that he had been suffering from “vertigo” for 10 years, that he had complaints such as loss of balance, inability to think clearly and headache on account of his illness and that he did not wish to file a complaint against anyone. Despite this, the public prosecutor’s office nevertheless continued its examination and scrutinized the doctor reports obtained with respect to the applicant’s custody process. It was understood that the reports in question noted no trace of battery or coercion and on 30 May 2017 a decision of non-prosecution was issued with respect to the allegations in question on the ground of lack of sufficient evidence. While it was alleged that M. A., investigated for suspicion of his membership of the armed terrorist organization PKK, had been tortured whilst in police custody in the Kırşehir Province and that a blind eye had been turned to it, the investigation conducted by the Kırşehir Chief Public Prosecutor’s Office into M. A.’s complains is ongoing. As regards some of the allegations raised in the report, no tip-off has been made or no complaint has been filed. For instance, it was established that there existed four different persons named İ. K. in the investigation file no. indicated in the footnote with respect to İ. K. mentioned in the Case 7 within the report. The questioning reports of four different persons named İ. K. were examined one by one, however, an allegation of torture could not be found. Moreover, Republic of Turkey identity numbers of these four different persons were searched within the UYAP system, and it was established that there was not any petition of complaint submitted in the name of them with the allegation of torture to the Bureau of Public Officers’ Crimes of the Ankara Chief Public Prosecutor’s Office. The relevant Judgeships informed the competent and authorized Chief Public Prosecutors’ Offices on the allegations of ill-treatment raised by O. D. and Ö. A. during their questioning, and the investigations are being conducted diligently, and maximum effort is shown for the administration of justice. As regards the abduction allegations raised in the report, it should be mentioned that protecting the right to life is the most fundamental responsibility of the State. In this respect, an investigation was immediately launched following the tip-offs made to the Ankara and Izmir Chief Public Prosecutors' Offices by the relatives of those concerned. Investigations in respect of T. Ç., Ç. K., Ö. A., M. O. and M. Ö. have been carried out on an individual basis in Ankara and İzmir. One of those reported to have been abducted, namely Ö.A. was arrested and placed in detention on 16 May 2017 with the accusation of the membership of the FETÖ/PDY armed terrorist organizations. With regard to each claim of abduction, footage in the places in which the events were reported to take place, the information about the vehicle asserted to have been involved in the event, submissions of the eye-witnesses and of the relatives of those concerned, phone calls and reports of historical traffic search (HTS) have been examined and the allegations have been investigated with due diligence. It should be mentioned that a request for an interim measure was filed with the Court by the relatives of two (M. Ö and M. O.) out of the five persons alleged to have been abducted and that the requests of the relatives of M. Ö. and the relatives of M. O. were dismissed on 31 August 2017 and 18 September 2017 respectively as a result of the information and documents provided as regards the investigations carried out by the Public Prosecutors' Offices. All these points constitute a clear indicator of the fact that the allegations included in the report do not reflect the reality and the judicial and administrative authorities have been meticulously investigating each tip-off and allegation by means of taking into account all the possibilities. This explanation also reveals that the report includes groundless allegations that are speculative and disinformation-oriented and aim to create a misleading perception for the world public opinion. The rule of law, democracy and human rights are the basic principles of the State of the Republic of Turkey. Even in the face of the armed and treacherous coup attempt and numerous terrorist attacks, Turkey fights with the terrorist organizations by adhering to these principles and values and in compliance with its international obligations. As required by the policy of zero tolerance to torture, judicial and administrative authorities investigate each allegation of torture and ill-treatment and continue to carry out the necessary procedures against those responsible. Respectfully announced to the public. 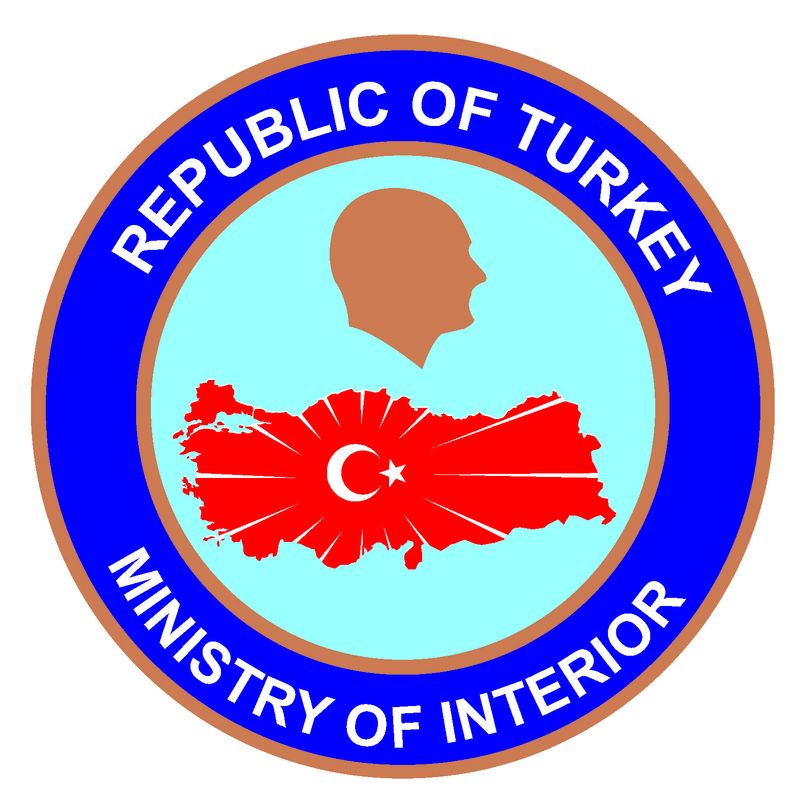 Republic Of Turkey Ministry Of Interior Ankara Phone: (0312) 422 40 00 - Central.